The Shakespearean sonnet scrapbook lesson will allow students to analyze sonnets and create a wonderful booklet that will showcase their creativity and intellect. Goal: Students will work in cooperative groups of three-to-four students to create a scrapbook. It will include student selected sonnets, an analysis of each one, original poems by each student in the group and a glossary of all poetry techniques and devices used in their creative book. Individual and group assessments are included in this lesson so that the cooperative learning project will be a success. Materials Needed: Shakespearean sonnets, construction paper, decorations, scissors, glue, old magazines, stickers, etc. Step 1 — Discuss the poems. Make sure that students understand the poetic devices or techniques used in the poems, such as metaphor, simile, mood, rhyme pattern and iambic pentameter, etc. There is a lesson in part 2 of this Renaissance Poetry series to aid with teaching these techniques. Step 2 — Divide students into small groups of three-to-four students. Step 3 — Each student needs to choose a poem and analyze it in writing. The poems can be assigned by the teacher or chosen by the student. I recommend a trip to the computer lab for Shakespeare’s sonnets browsing. Students should discuss the meaning of the poetry and the use of any poetic techniques in the individual written analysis. This should be written in essay form with an introduction, body and conclusion. A draft and final copy should be turned into the teacher for an individual grade. Step 4 — Each student needs to write his or her own sonnet using the correct English sonnet format. The most important thing is that student s use the rhyme scheme of abab cdcd efef gg, and attempt to use iambic pentameter. If students are at a loss for topics ideas, they can write a “copy change” poem. This is a technique where students use a favorite song lyric as an inspiration for their sonnet. Students need to make sure to write at the bottom of the poem that it was inspired by the specific lyrics using the sonnet format. This sonnet scrapbook should be attractive, neat and colorful. It should be decorated with items that relate to the themes or the ideas from the sonnets. Step 6 — Assess the books using a rubric. Criteria for the rubric could be neatness, theme related decorations, use of color, thoroughess, team work, written sonnet analysis, and original sonnets. 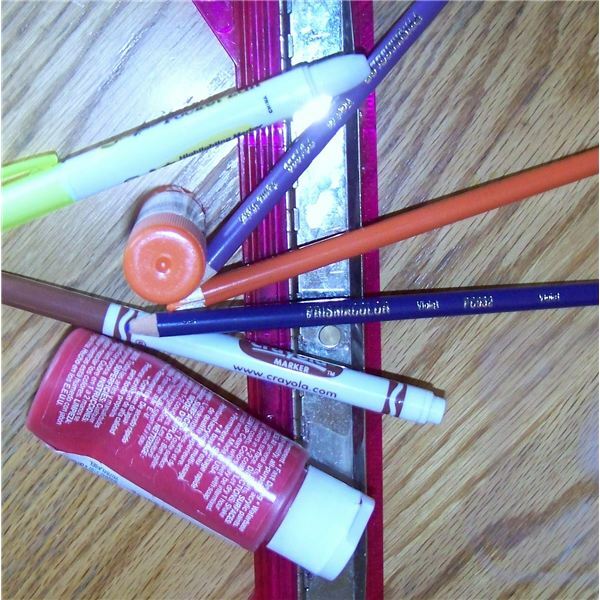 Step 7 — After they are complete, students should share them with the class. This scrapbook lesson that focuses on Shakespearean sonnets is a creative way for students to show understanding of the poems. Students learn how to work together in a cooperative group to produce an artistic and creative piece.